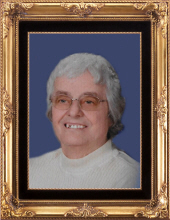 Judith L. Steinmeyer, age 79, of Woodville, OH passed away on Saturday, March 30, 2019 at her home. She was born January 9, 1940 in Oregon, OH to Raymond W. and Mildred L. (Lymanstall) Reitz. She graduated from Libbey High School in 1958 and went on to attend Stautzenberger College in Toledo. She married William Steinmeyer in Toledo on June 18, 1966. Judy and Bill celebrated over 52 years of marriage before Bill’s passing in October of 2018. Judy worked at Toledo Optical for 30 plus years and 16 years and 10 of them with Bill as the Woodmore Elementary School crossing guard. Many of the children they assisted kept in touch with Judy and Bill over the years. Judy and Bill would be the segregate parents and grandparents to the many children they looked after those years together. Judy is survived by one sister, 2 nephews, dear friends and caregivers, Bill and Barbara Gentry, numerous cousins and a host of other faithful friends gained over the years. While she and Bill were never blessed with their own children, she will be remembered in the hearts of those many kids she looked after those years she served as the school crossing guard for Woodmore. In addition to Bill, she was preceded in death by both of her parents. To send flowers or a remembrance gift to the family of Judith L. Steinmeyer, please visit our Tribute Store. Officiating, will be Pastor Kent Winkler. A luncheon will be served in the church fellowship hall immediately following the service in the church. "Email Address" would like to share the life celebration of Judith L. Steinmeyer. Click on the "link" to go to share a favorite memory or leave a condolence message for the family.